The far side of the moon has long been a tantalizing mystery. But China, a latecomer to the lunar landing game, could soon make history as the first country to touch its surface. State media reports from China this week confirm the country’s intention to send a Chang’e-4 landing probe to the far side of the moon before 2020. 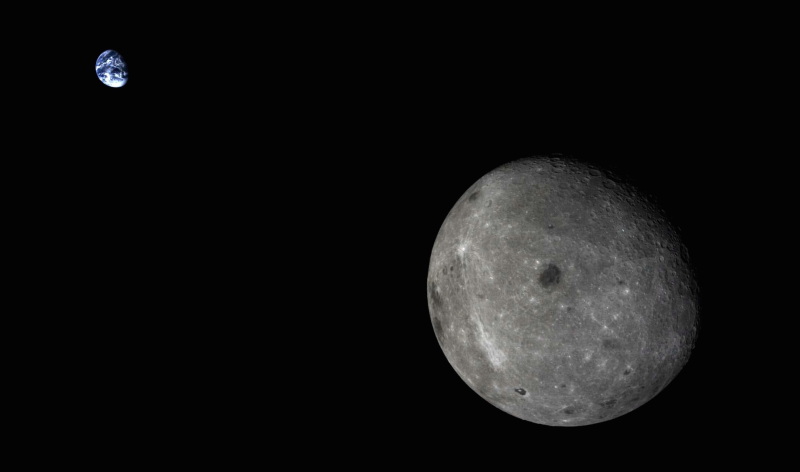 Previous probes have imaged the far side of the moon, but if successful, China would become the first country to land on it. With its Chang’e spacecraft series — named after the moon goddess in Chinese mythology — China has spent the last several years building the capacity to perform an ambitious lunar sample return mission. In December 2013, China landed a Chang’e-3 on the moon’s Earth-facing side, becoming the third country in the world to touch our nearest neighbor. Last year, China completed its first lunar return mission, with a Chang’e-5 test vehicle swinging around the moon’s far side, snapping a gorgeous photo of the Earth (above), and sending its sample return module back home. According to Zou Yongliao, a scientist at the Chinese Academy of Sciences, the goal of Chang’e-4 will be to study geologic conditions and low frequency radio waves.“If we can can place a frequency spectrograph on the far side, we can fill a void,” Yongliao said. If that wasn’t enough, the Chinese space program is creeping up yet another major accomplishment this fall, with the impending launch of its new Long March 6 rocket. We’ll be keeping a close eye on China’s space program in the months to come, so stay tuned!